Australia is a country of migrants, with an exciting mix of cultures and peoples that enriches our society and shapes our national identity. We’ve got nothing on Europe though. Look at any historical moment in Europe over the last few millennia and you’ll find constant demographic movement. Well before the EU was a twinkle in the European coal industry’s eye, the Romans, Goths, Huns, Normans and others were happily marching across the European continent. In their wake they left, amongst other things, a swirl of languages, cultures and genes that have caused endless headaches for drawers of borders (just look at the town of Baarle-Nassau/Baarle-Hertog in the Benelux region). Migration around the European continent (including the British Isles) wasn’t just in the form of marauding armies of course. An endless flow of individuals shifted from one region to another in search of work, opportunity or warmer climes. Come 2011, and despite all of the supposed extra freedom of movement, travel around the European continent feels fairly restricted at times. Those times tend to coincide with moments of crossing the French borders, as a train full of passengers (including a number of migrants and activists) discovered last week on their way from Ventimiglia in Italy to Nice in France. The train was stopped before crossing the border, igniting a minor diplomatic storm between France and Italy. Over 20,000 asylum seekers, primarily from Libya and Tunisia, have arrived in Italy since January. French authorities have been doing everything in their power to prevent these displaced people from moving into France, including closing the border to trains from Italy. A week before this border squabble hit news headlines, my husband Andrew and I happily climbed aboard the first of three trains that would take us on the same route from Italy to France, on our way to Barcelona. We chatted happily about following in the footsteps of Hannibal, who crossed the Alps here with his elephants over two thousand years ago. On the train from Nice to Marseille. As we crossed into France the train stopped at a small-town station. A group of French police boarded the train and checked each passenger’s passport. A few minutes later I looked out the window to see a young man, flanked by police, being marched off to detention and, no doubt, deportation. I think he must have been younger than I am. That young man, displaced in a foreign country, made me think about my own family; particularly another young man who seized on an incredible opportunity to escape the crippling poverty and oppressive class determinism of his home land. Last September I got off a plane in Edinburgh, and a little tingle went up my spine as I realised that I was the first of my family to ever go back to Scotland. We were in Scotland to meet up with my parents on their odyssey to visit the family roots. 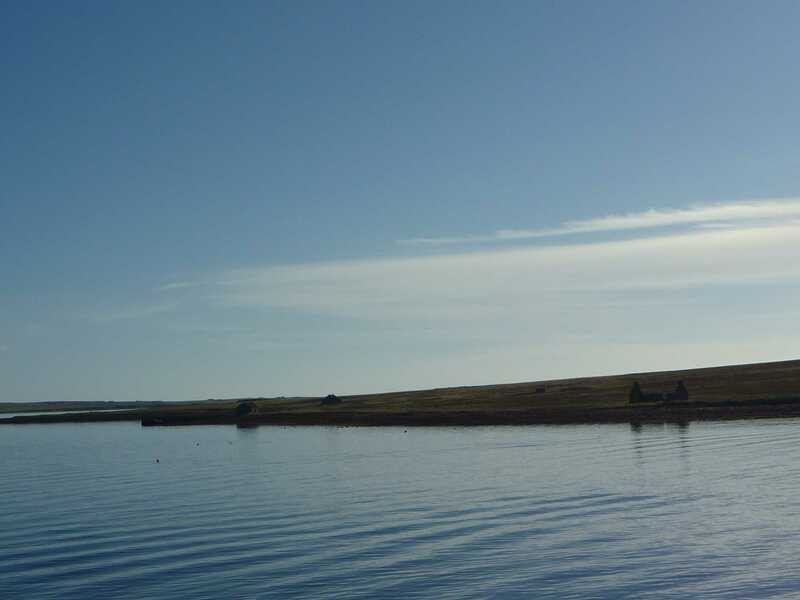 A few weeks later, stepping off a ferry on the tiny island of Shapinsay in the Orkneys, my father and I returned to the place where our ancestor, John Gillen Heddle, had left in 1857. He was seventeen, illiterate, probably illegitimate and very poor. He must also have been incredibly brave and unbelievably enterprising to take the opportunity he was offered: to migrate to the relatively new colony of South Australia, with a one-way fare provided by the South Australia Company. He had probably never seen a map, probably had no idea that he was travelling about as far away from his home as it is possible to go. He would certainly have known that he would never see or hear from his mother and sister again. 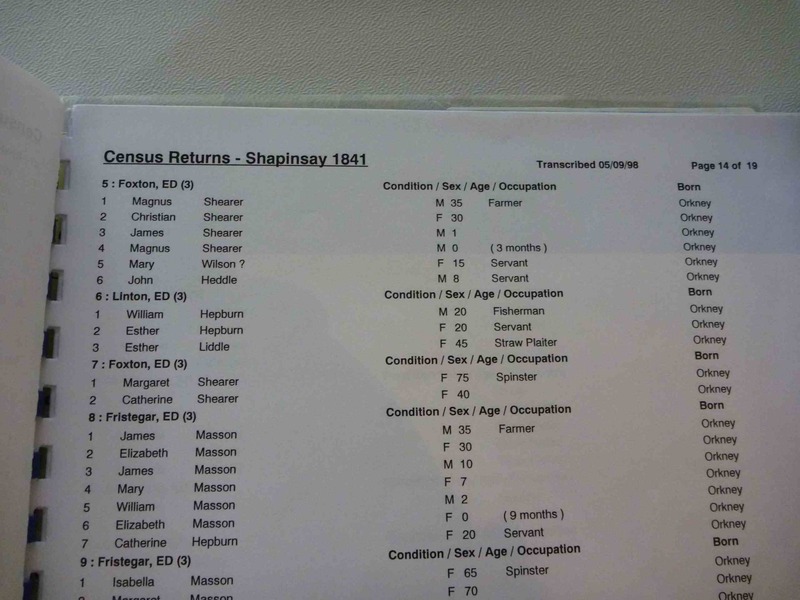 My ancestor John shows up on this census aged eight and already working as a servant. As we walked around Shapinsay my mum and husband rhapsodised about how beautiful it was, how they would love to live here, how totally idyllic the landscape was. Dad and I stayed quiet, but at some point we looked at one another and realised we were clearly thinking the same thing – we just wanted to escape. That tiny island off the top of the world was very nearly a beautiful, idyllic prison for our family, but the determination of one young man changed everything. He escaped, we escaped, thank anything! 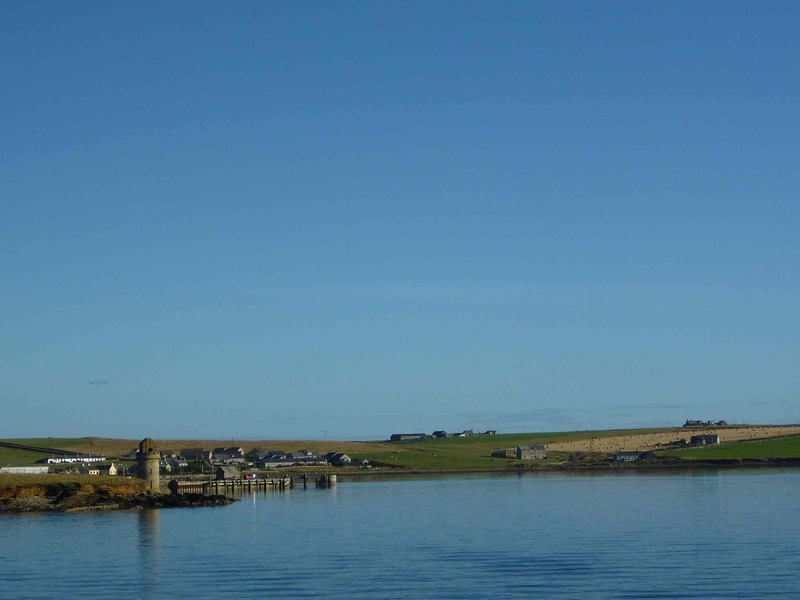 The main town on Shapinsay. Utterly beautiful, but a little on the quiet side. John Heddle’s story goes on to have an almost cinematically wonderful ending. On the long journey to Australia he became very ill, but he was cared for by a family also making the long trip south. The Tyley family, from Bristol, were of a different ilk to John. They were travelling to South Australia to buy land and expand their business. Their daughter Emily taught John to read and write while she nursed him. 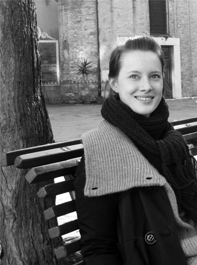 Emily and John married and had 14 children, while he worked as a groundsman and then supervisor of the parklands that still surround Adelaide’s city center. Leaving the Orkneys, we travelled to other spots with family connections: Border towns where my Irving ancestors entertained themselves by stealing cattle from the English farmers over the border; Cornish tin-mines where the Trebilcock men scratched a living from mines that stretched out underneath the Atlantic Ocean. We even visited the austere street in Aberdeen where my paternal Grandfather grew up in a tiny overcrowded flat. He ended up in Australia after having illegally jumped ship in Fremantle in the 1930s, adding ‘Mc’ to the family name as part of his successful bid to avoid detection. My family were all as poor as mud, but I couldn’t be more proud of them. Thanks to their desperation and initiative they left their homes and grasped the opportunity offered by migration to another country. The very privileged life I lead is a direct consequence of their actions and a visit to their homelands gave me a huge sense of gratefulness. After a wonderful week in sunny, beautiful Barcelona Andrew and I got on to the night train that would take us back to Turin in Italy. On the way we were woken by the French border control twice – as we entered France and again as we crossed into Italy. A week later, watching the Italian news report on the stopped train, my thoughts returned to that young man escorted away from his dash for freedom. How lucky we are, whose families were able to take their chance at a new life in the new world.